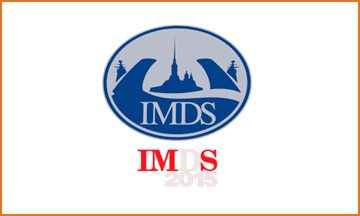 From 1 to 5 July 2015 will be presented a number of novelties naval equipment. At the naval show will premiere in the field of search and rescue resources. Guests will have the first opportunity to see a diesel-electric submarine "Stary Oskol" project 636 "Varshavyanka", which has successfully completed state testing and preparing for the handover ceremony to the Navy, which could take place in the framework of the "INS-2015". In FSMTC noted that of the more than 370 participants represent 40 foreign companies and organizations, and the official delegation at the "INS-2015" sent to 45 States. The company "Auto Management" is organizing the provision of transport: passenger cars, vans, and also minivans and buses.